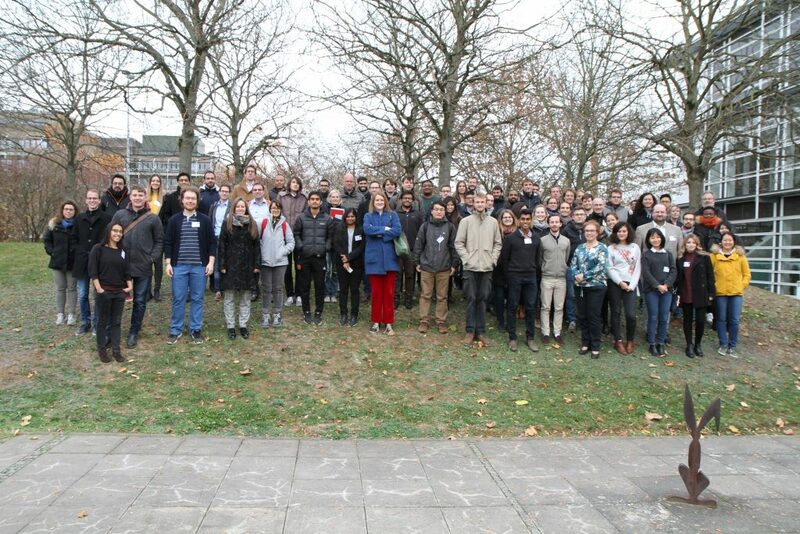 LubISS school on “Wetting and modeling of lubricant impregnated surfaces” was held on 19 -20 November 2018, at the Max Planck Institute for Polymer Research in Mainz, Germany. Below you can find a group picture of the participants and a short description of the event. Textured substrates infiltrated with a lubricant form a new class of functional surfaces, known as lubricant-infused slippery surfaces. They are promising candidates for low adhesive, anti-icing and anti-fouling surfaces. To design durable slippery surfaces, a better understanding of the interplay between the physical and chemical interactions among the surface topography, the lubricating film and the droplet under static and flow conditions is essential. After an introduction on how to chemically modify surfaces, the basic concepts to model wetting of smooth, and rough surfaces will be introduced. This includes advancing, receding contact angles, tilting angles, and lateral adhesion forces. The consequences of a lubricating film will be discussed, including the Neumann triangle, spreading coefficient, capillary forces and elastic forces. Different mechanisms of adhesion will be introduced. Analytical and numerical methods to describe adhesion are going to be presented, including mesoscopic (Lattice Boltzmann method) and macroscopic (scaling analysis and lubrication theory) approaches.